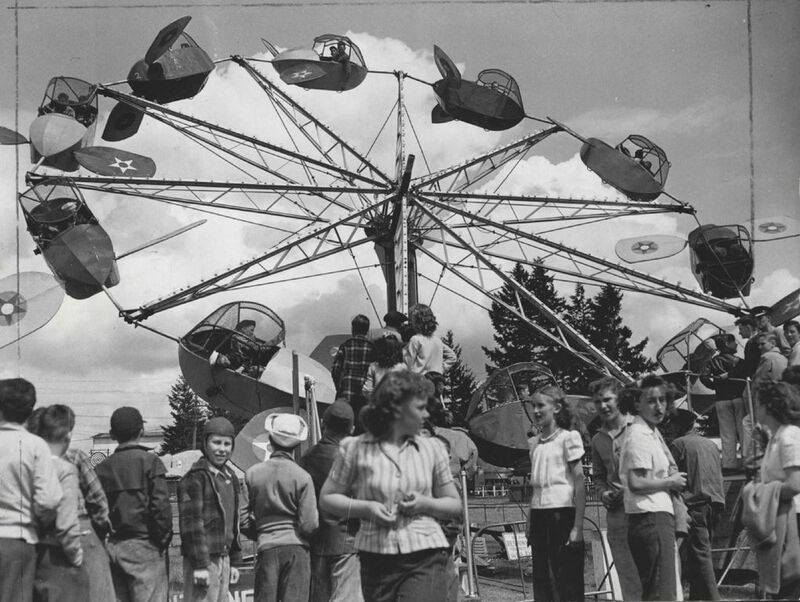 The amusement park on the shores of Bitter Lake lasted for three decades. 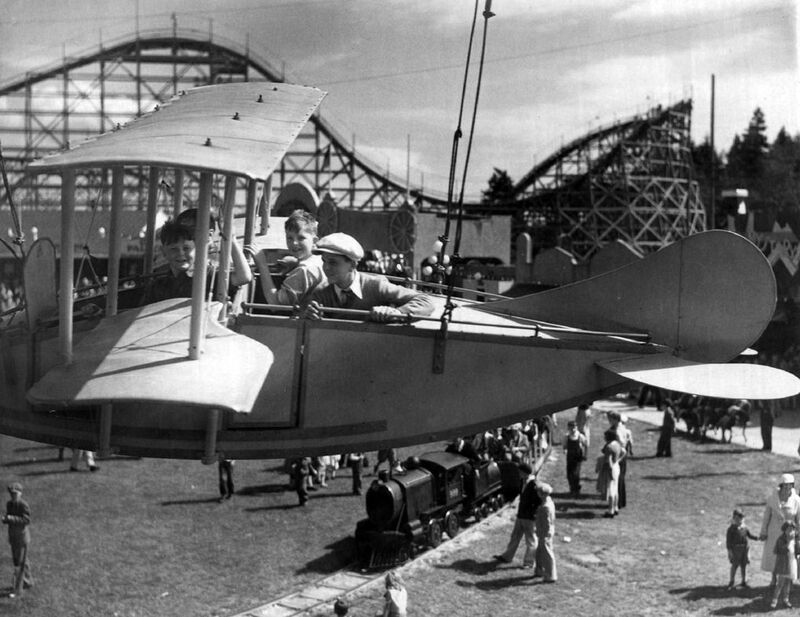 Playland opened on the shores of Bitter Lake in May 1930 as an amusement park for all of Seattle to enjoy. 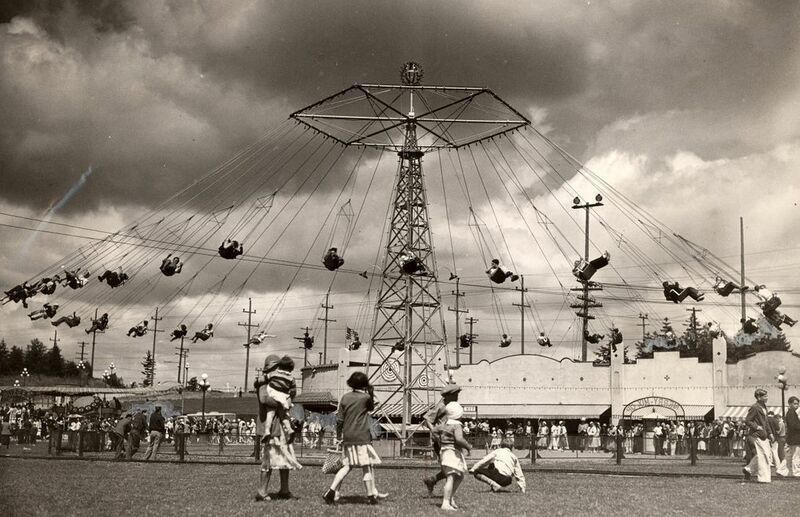 The million-dollar amusement park was marketed as being only a 15-minute drive from home. The park was open daily in the summer through September, and the first year admission was 10 cents, while children under 12 could get in for free. Free parking for 12,000 visitors was available. People could also take the streetcar to 85th and Greenwood and transfer to the Everett interurban railway, which went to the park entrance. 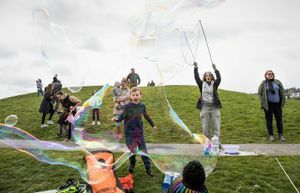 Attractions included The Dipper, The Giant Whirl, The Bug, The Frolic, Mystery House, Fun House, a merry-go-round, a miniature railway, Dodgem bumper cars, the Red Bug car-racing course, a dancing pavilion, The Old Mill, the Rabbit Racer, the Hoba Hoba and many more. 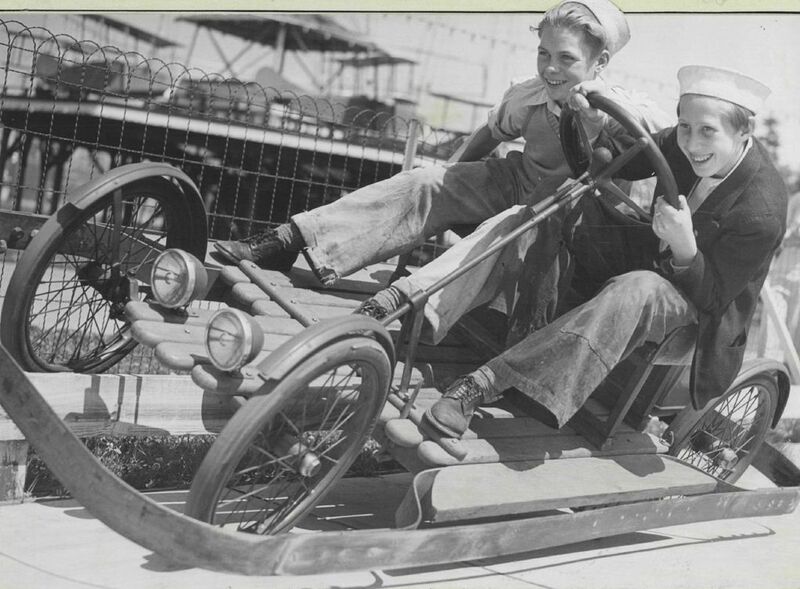 On Aug. 18, 1953, three rides and several buildings were destroyed by a fire. 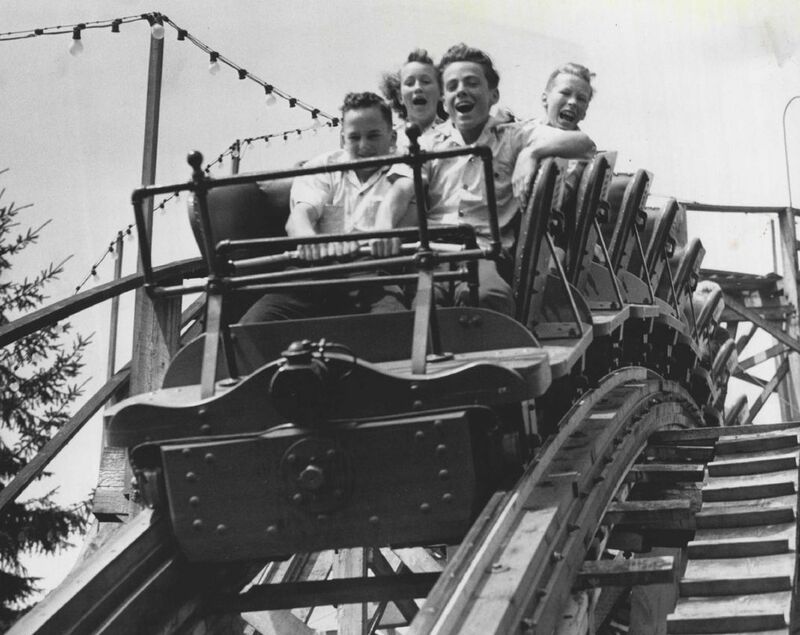 Among the losses was Playland’s iconic Dipper rollercoaster. 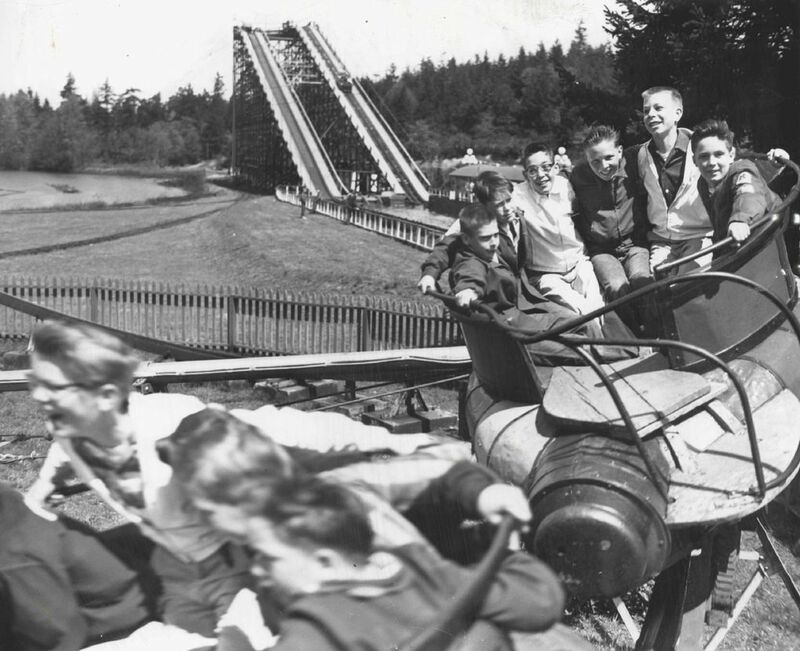 By the end of the 1961 season rides were removed and the park closed permanently. 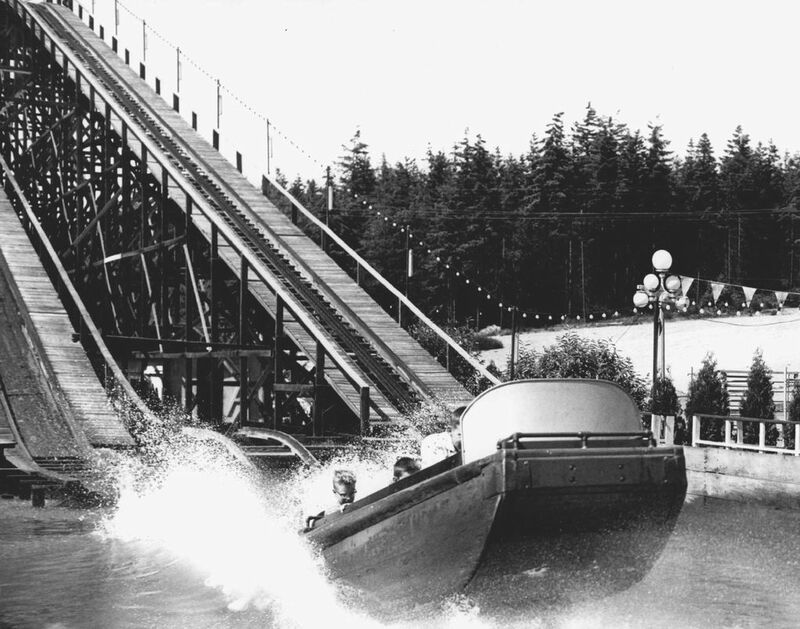 The Seattle Parks Department cleared away abandoned structures on the Playland property that same year, as result of Parks and Seattle Public Schools acquiring property around Bitter Lake. 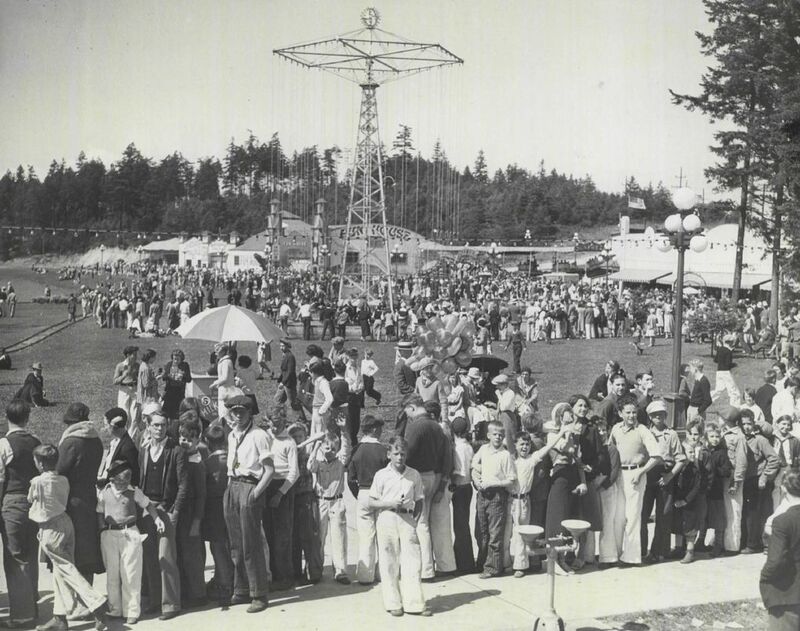 With the demise of Playland, a new amusement park rose to take its place, at the Seattle Center during the 1962 World’s Fair. The Fun Forest remained after the fair was done, delighting families until 2009, when it was dismantled.